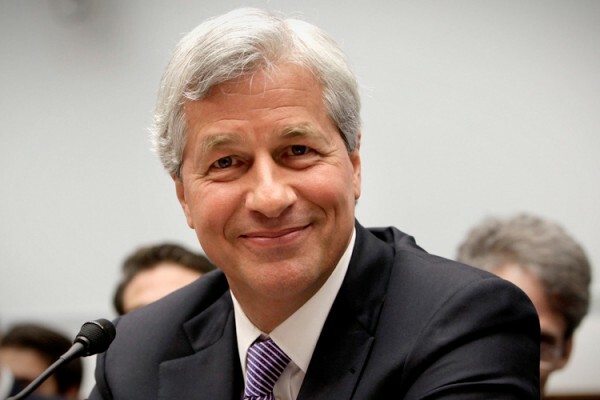 Jamie Dimon: A man who has been struck with throat cancer in recent months, federal prosecution will finally befall him after another stock market collapse in the spring. He will be sentenced to prison and dies behind bars. 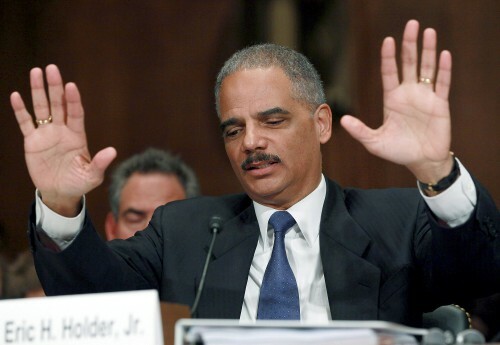 Eric Holder: While he may be on the way out, his problems are not behind him. A federal investigation is mounted into the corruption of shielding favorable banks to the Obama administration and his impending roadblocks for punishing financial violations by other banks. This is the scandal that does him in, though you will not hear a peep of this from the Republican party leadership. This is because their hands are caught in this particular cookie jar and his downfall comes as theirs does as well for similar reasons. 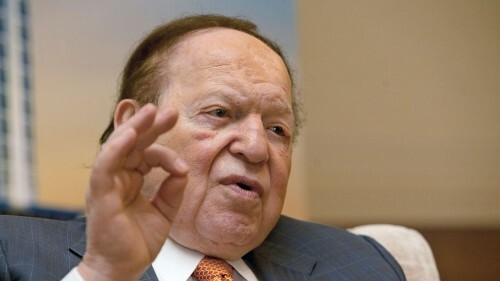 Sheldon Adelson: He notoriously violates campaign finance laws and his comeuppance is coming. Expect a Wall Street corruption investigation to lead to his indictment and imprisonment by years end. 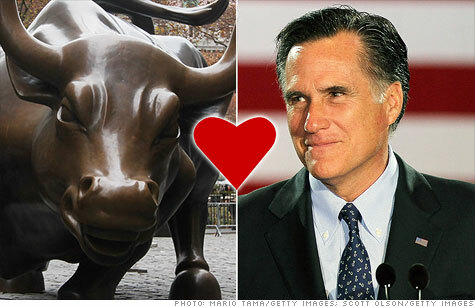 Mitt Romney: There’s a far more important reason why Romney is not running a third presidential campaign. He is in violation of major campaign finance laws from his last go at it and another run would expose this in the open; derailing his efforts before they even take off. It doesn’t matter, though, because he will be charged and convicted on these allegations anyway. Whether he likes it or not, his comeuppance is also coming. 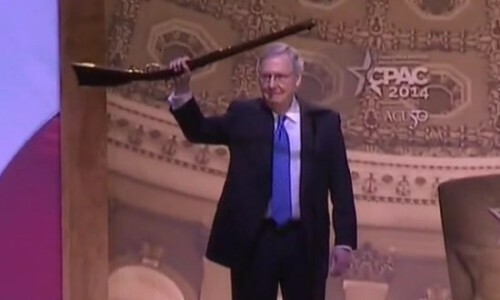 Mitch McConnell: A very bad man in his 2014 senate campaign is going to go the slammer, but not before he rats out McConnell for some threats made to his running mate, Alison Lundergan Grimes, and some ethics violations as well. He’ll serve a minor prison sentence, but he will be forced to give up his senate majority seat in a few weeks or months time. John McCain: It’s ironic that two war criminal birds of a feather fly together because this is the charge that will befall the former presidential nominee and current senator this year. His collaboration on an FBI or CIA torture program will permanently ruin his reputation and see a substantial jail sentence stem in its place. 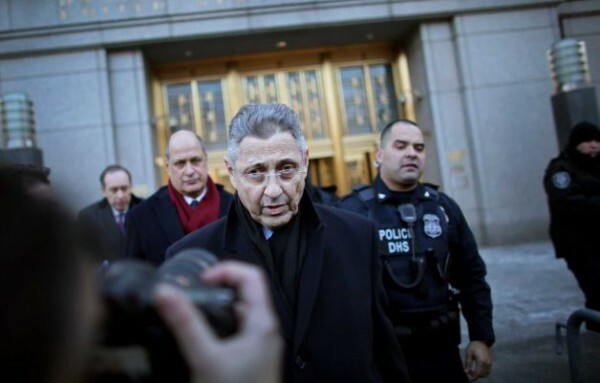 Andrew Cuomo: The second most corrupt politician today (only behind the man below) is eventually caught up in the Sheldon Silver scandal, along with a few other major power players in Albany, and sentenced to a stern four month prison sentence by years end. This sees Kathy Hochul face a revolt by her own party and a new election is called in 2016. A sad state of affairs for all of New York. 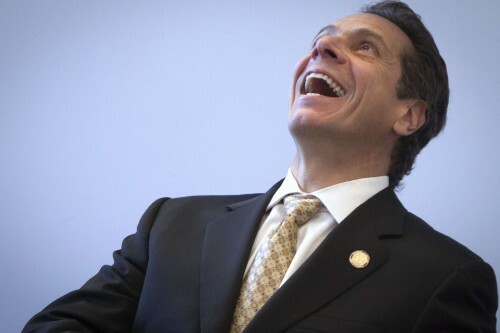 Mario Cuomo would have been ashamed. It’s fortunate that he didn’t have to live to see this day arrive. George W Bush & his administration: Justice can’t be avoided forever. Your daddy can only shield you and your friends for so long. 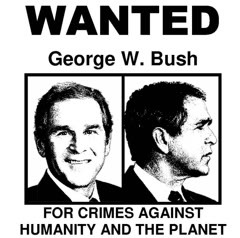 As Jeb’s profile rises, the calls for war criminal trials comes in an international forum. This most certainly derails the Jeb Bush presidential campaign (sorry Janice) and sees retribution come before an international court of law by years end. Justice will finally be served over a decade after the fact. 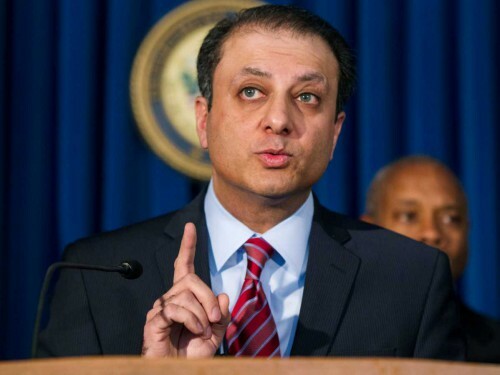 Preet’s career will be stopped before he can get everyone on his list (the Clinton’s included), but he will have a large hand to play in stopping some of the most corrupt in our system from destroying us all. The revolutionaries will take care of the rest of the problematic bunch, but the first steps towards cleaning out the corruption in the halls of government is beginning to occur this year. Keep an eye on this Silver scandal as it spreads statewide and resonates in an eventual nationwide fashion. I’d like to think that there was some kind of uplifting change of course seen in tonight’s state of the union address, but that isn’t really the case. As much as the President has tried to reassure the public that “America is strong,” the growing crisis of Islamic fundamentalism, an oncoming economic calamity in Washington from Wall Street and the continuous assassination attempts of political leaders leading to several that will succeed, is going to spell doom for the nation. This isn’t said from a the mind of a cynic, but from a jaded psychic; one who feels that the only way to make a better world is to eliminate the leaders we currently have in power today. Starting fresh is the only way to clean out the poison and inject new life into the world. In a time that is otherwise consumed by gluttony, greed, anarchy and insurrection, such a revolutionary change is an absolute must. The crisis has not passed. In fact, it has only just begun and is going to get worse as the year progresses. Sorry to burst your bubble, Mr. President, but that’s how the real world for works the average Ben and Rebakah’s of America. 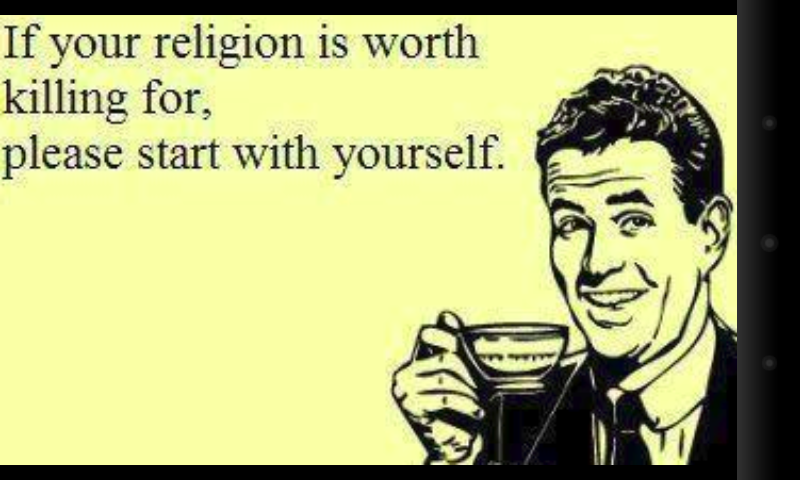 In times such as this one, it seems you are absolutely clueless to what is front of everyone’s collective fate. I have been reading different psychic blogs across the net and one reoccurring theme is happening is “donations” and “blogging psychics”. Over the years I have been lucky enough to have gone to some of the top psychics around. The one thing I do know that is among really gifted people – they do not have pages and pages and pages of rewriting history. It is not “in depth” bogged down in minuta. It doesn’t go on and on and on and “you can donate over there”. I am seeing more and more of it lately. Psychic bloggers feeding the need of conspiracy theorists, lonely people that are looking for any kind of connection. Their blogs read more like psychic fiction than a reading. Some of them are actually outlining or paraphrasing science fiction. At first, I thought it was just that they were honing in on the collective consciousness and seeing all the science fiction movies and shows…. but after the last few posts of some of these “psychic bloggers” and the refusal to believe what is in front of them and to admit when they are wrong when current facts are staring them in the face to continue their farce and to grab onto any life line theory that their followers are willing to throw at them. A true psychic will ALWAYS admit when they were wrong. If you see one that refuses to admit they are wrong… those are science fiction writers not psychics. With the arrival of the civil war and revolution in the United States and worldwide comes the amount of assassinations and attempts that will be predominant in the news over the next several months and years. There will be lots of conspiracy paranoia to explain these actions, but there are legitimate differences that I feel the need to point out in this blog post. There are two types of murderers and each are very different. The first kind of assassin is an MK Ultra patsy. This is a government trained, brainwashed and promoted spy or citizen who is mentally set up to perform an assassination for the United States government. Such examples of this type of being are Lee Harvey Oswald, Mark David Chapman and Sirhan Sirhan. President Obama has already been targeted by several of these types of individuals in the past and will continue to be so long as he is the president. At this stage in his life, I would advise the president to resign from office for his own personal safety. 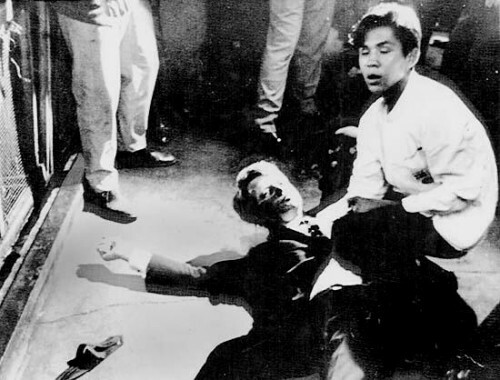 One only has to see what happened to the Kennedy brothers and others to know what a government can get away with to get what it ultimately wants. Other targets for these patsies will be well known liberal activists, actors, artists and political figures in the US and also around the world. I have written about some of these figures before, but you can tell who they are by anyone who calls the mainstream media a “communist” in a very aggressive fashion. The second kind of assassin is a murderer who is possessed by the devil. This is a figure who the government most often catches and has their plans thwarted by the government because it is a random act of violence and not state sanctioned. 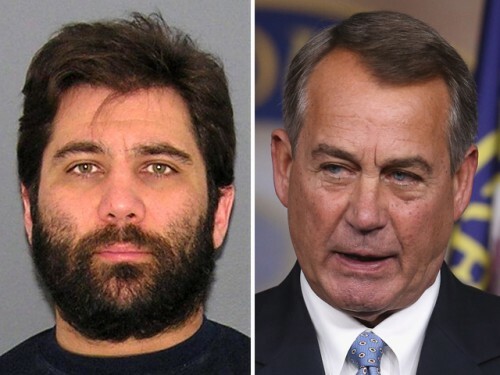 The recent arrest of the man above for threatening to poison John Boehner is the second of such arrests; the first occurred last year by a man name Brian James Thompson. 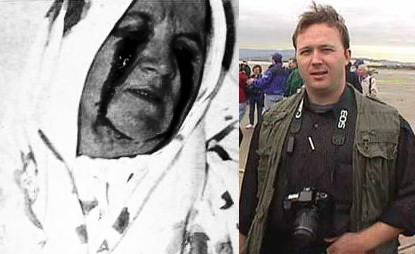 These are not government operatives, but those who are possessed by spiritual beings from beyond our plane of existence. 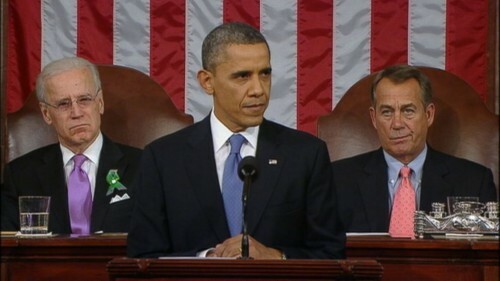 John Boehner has threatened a very powerful spiritual being who is seeking to exact revenge on him for this slight. This will not be the last time he will face assassination by a possessed being and one of these men that this being possesses shall succeed in assassinating him sometime between April, May and June of this year. The reason the government can’t ultimately stop this is because this spiritual being can latch onto just about any mental ill person living today and have them carry out the act for them. There are millions of mentally ill individuals in this country to varying degrees of economic mobility and personal freedom. All it takes is one for it to go off without a hitch. Boehner could work to rectify his slight of this spiritual being, but that would require stepping down from political office and I don’t think he’s prepared to do such a thing at the current time. As such, he is one of the congressman whose assassination leaves major anarchy in the capitol of the United States. I hope this clarification helps to sort out this very confusing world we are living in today. Hopefully I’ll have more predictions and posts to share in the very near future. I think this blog post by Brian Stalin really sums up the risk that Alex Jones has to his life at the current moment. However, I wanted to mention that there will be no greater validation of Alex’s insights and prescience then when the government finally attempts to assassinate him, and potentially former Texas Congressman Ron Paul as well, in April of this year. This could occur at a political rally or a press conference in any of the following areas….Austin or Dallas Texas, Vermont, Virginia or New Hampshire. Alex needs to be very vigilant about his safety this year. 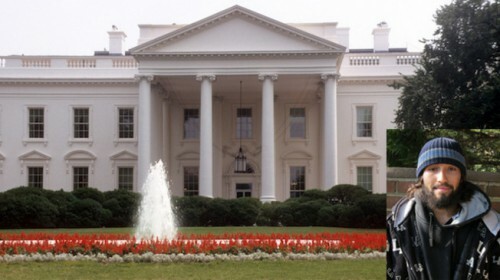 The government has now had enough with his meddling into their New World Order affairs and they will attempt to “take care of the problem” in the form of an assassination very shortly. Stay alert, Alex. You’re going to need all the protection you can get. We have finished phase one of the civil war. That phase was of societal breakdown. The ensuing violence, chaos and instability as a result of the Ferguson, Missouri grand jury decision not to indict Darren Wilson has seen several more lack of indictments (most notably for Eric Garner’s murderer Daniel Pantaleo), several police assassinations in New York and Florida and protests on a grand scale not seen in the United States for many years. The settling players in the conflict have also been revealed; the ever Satanic Klansman David Duke, the Black Lives Matter protestors Deray Mckerson and Johnetta Eliza and the US government looking to impose a police state against the will of the general public. With more Islamic hysteria boiling in Europe leading to a likely genocide in the near future, hysteria on a worldwide scale is back. Very soon, the battle lines drawn will become a bloody affair. As phase one passes, phase two is to begin with the assassination of Kansas Senator Pat Roberts and Secretary of State Kris Kobach (with Wall Street supporter Kevin Yager also a potential target) likely by the end of the month; although that could be delayed more than that. Their governor Sam Brownback has created an economic mess in his state that is going to boil over nationally pretty soon. The result of a large scale deficit will be massive layoffs and cuts that result in the first dam break towards untimely economic collapse. The second will be a housing bubble burst in Flordia and New York. The third, and most deadly, are the assassinations. When all three pieces add up together by the end of the month, the violence part of the revolution begins in kind. 1) The Keystone XL Pipeline and how a stand off in Nebraska by land owners and Native American tribes becomes one of the most violent conflicts in this revolutionary war. An invasion by Canadian oil conglomerate TransCanada will bring up the sentiment of the British invading centuries ago. As we know what happens with international alliances invade sovereign nations, the end result is never pretty. Expect this pipeline battle to go on a number of months until Republicans in the house and senate find the votes to veto proof a vote for passage in the spring. After several more bureaucratic battles, the construction tentatively begins in September where it will be met by protests that turn violent soon after. Passage is eventually approved, but the pipeline shall never be built. 2) Police brutality will become a new battlefront in April as the federal government fails to indict George Zimmerman in a federal civil rights lawsuit for his murder of Trayvon Martin. This sees the protests emerge on a grand scale once again and this time it will face a put down by the government. Such put downs won’t stop the movement and, in fact, will only see the next wave of protests follow with armed resistance by The Black Panthers and other religious rights movements. They will play a battle in a way that will scare some, surprise others, but overall, be in the interests of every American; black and white included. 3) Concentration camps (which I have mentioned before) have been hidden from plain sight, but not for much longer. I foresee of group of protestors stumble upon one and broadcast their existence online for all to see. The government will adamantly deny this being the case, but do not believe them for a second. When three white prisons break out in August or September, it will leave the government scrambling to cover up what will end up being the cause that sees other nations invade US soil on a revolutionary front. 4) President Obama has had enough with the bureaucratic games in Washington as everyone else has across the United States. He will issue a number of executive orders to set a radical new agenda for himself; some of those good and others not so much. One of them will accidentally reveal a government secret that hurts the protestors enemies more than they would like it to in the conflict. For this, more rounds of MK Ultra patsy assassinations are set up to fail. 5) Finally, the protestors and revolutionaries need to be extra careful about Russia’s Vladimir Putin or North Korea’s Kim Jong Un meddling in their affairs and trying to take control of the conflict for their personally benefit. Don’t think they aren’t on to such an endeavor. Other self serving politicians in the US and overseas will also try to control the protests, but do not let them. Stay organic and you will lose the shackles that serve to enslave you once more. Freedom is the goal and the prize shall be worth the cries and tries. I was raised a Catholic.I went to a Catholic school.I learned from an early age that Catholicism was a hypocritical religion.they teach you that anything does not make sense call it fate.I live by a different code.and that is truth does not contradict truth.how does a God who loves us so much want to punish and kill us?.it makes no sense at all those of you have childrenknow this not to be fact…would you drowned one of your children in the bathtub because they spilled milk on the counter? ..
car creator would not do the same to us he gave us free will she gave us free will to learn there are so many things that are misinterpreted.when God said let us make man kann in our own image.he meant the spiritual image not the physical…Jesus tried to show us that…he was showing us plan our spiritual phone we can heal we can create..he told us.we were given a brain that separates us from the animals we can do anything we want..move a mountain Jesus showed us magic powers the elite of the plan and did not approve.so they killed him.And erased his teachings and, killed his apostles.that knew his secrets..so that the elite could dominate the.masses….that’s why Saint Peter requested to be crucified upside down on the cross.to symbolize.how twisted Jesus teachings.had become. .I am a teacher and practitioner of magic.and I am Telling all of you now..
we are the children of God.and we have the power of God….don’t look at the news.don’t following your religion that has failed .follow up in a voice inside you that is your soul and your spirit ..fear no evil..it is a trick to separate you from your Creator …rise up now enjoying God’s army .every seed of love you plant will grow….